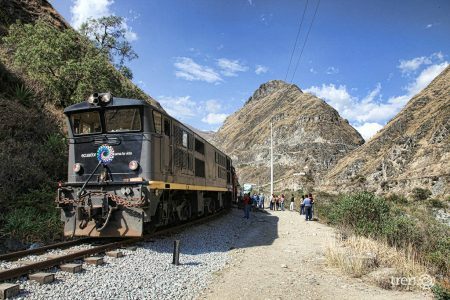 This excursion is the perfect extension to connect Quito and Guayaquil through the Andes. You can also do it the other way around, from Guayaquil to Quito. As with all of our packages, we can tailor made this itinerary to meet your individual needs. Breakfast. 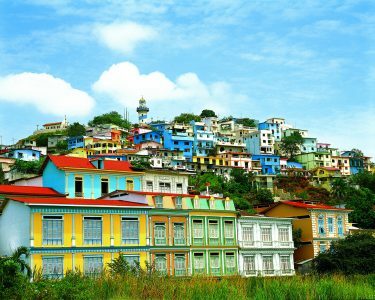 We will visit Baños, This small city is located in a valley with waterfalls and hot springs. One of the main attractions is the Tungurahua a variety of adventure sports. 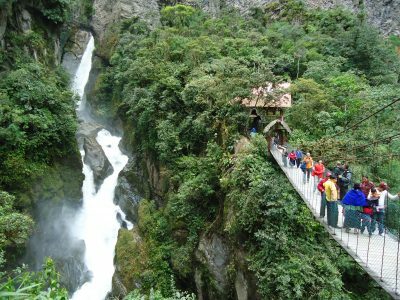 Our tour will begins visiting the famous waterfalls “Manto de la Novia” and “Pailon del Diablo”, later we search for a lookout point to see the Tungurahua active volcano. Afternoon drive to Riobamba through “El Arenal”, an arid location in the slopes of Chimborazo Mountain. This gigantic mountain was included in the famous 1802 expedition led by the renowned German scientist Alexander Von Humboldt. 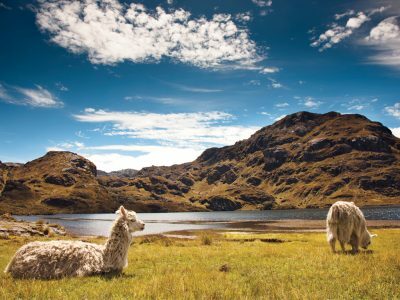 If time and weather allow, this location offers amazing views of wild llamas, vicunas and alpacas. Accommodation in Riobamba. Very early in the morning, after breakfast, we will drive to the town of Alausi. Here we will get ready for a famous train though this emblematic mountain named “The Devil’s Nose”. Due to the land topography, this portion is a masterpiece of railway engineering, commonly named “the most difficult railway in the world”. The descent is not an ordinary one; we start the ride at an altitude of 2,346 meters and go down to 1,860 meters in just 30 minutes, on zigzag-carved railway tracks. Afterwards, the guide and driver will bring you to Tolte’s Community. Here you will have lunch in the restaurant of the community, while enjoying a traditional dancing show. After lunch you will be able to choose among different activities during your visit-stay in the community: You can descend 330 stairs to a viewpoint, which is a perfect place to appreciate the zig-zag from Devil’s Nose and take fabulous pictures; you may choose between horse-back riding or a biking tour in the surrounding areas of the community, and you are also able visit an organic local farm to see how the community develops agro-tourism. In case that passengers don’t want to do the round trip at the devil’s nose train ride, there is an option of riding horses from the Train station up to the Restaurant, this is a wonderful ride that will let you enjoy a great landscape. This activity has a supplement of USD $16. 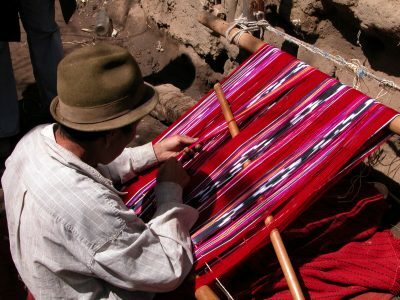 After this visit, we drive to Ingapirca Ruins where a walk through this place will take you back to the past. These are the best preserved and unique Inca ruins in Ecuador. Arrival in Cuenca and overnight. Breakfast. The tour begins with a visit to the city’s Historic Center. We will visit the church San Sebastian, a picturesque and traditional neighborhood of Cuenca, the Modern Art Museum, where the famous International Biennial of Painting takes place permanently, the Calderon Park (central park), the Flower Plaza, the Church “del Carmen”, the Cathedral of the Immaculate Conception, best known as the “New Cathedral” considered as of the biggest churches in Latin America. There is also a visit to the Cathedral “El Sagrario,” commonly known as the “Old Cathedral”, the city’s first Cathedral. Afterwards, we will visit “El Paja Toquilla” Hat Factory, where you can observe the elaboration process of the finest hats. The route continues with the visit to the “El Barranco del río Tomebamba,” which constitutes a communion between architecture and the natural environment. The houses are attached to the incline, displaying their majesty and charm. The tour will be finished at the “Mirador de Turi” (scenic viewpoint) where the landscape of a valley full of red roofs and church domes is framed by imposing mountains. In the afternoon, only 30 minutes away from Cuenca we will find the El Cajas National Park; it consists of over 200 lagoons and has a surface of 28.544 hectares. It is a very important water resource for Cuenca and Ecuador. Thus achieving the international Ramsar wetland categories in 2002, area of international importance for bird conservation IBA 2003 and Candidate Natural Heritage Site by UNESCO. The rivers and tributaries that originate here flow into the Pacific and Amazon. Also, we can find the “Intercontinental Water Division” in this area. We visit the high part of the park 4.000 m.a.s.l. approximately, 45 minutes of walk. Then we move toward the Toreadora Lagoon, where we have a walk of approximately three hours. Then we will drive to Guayaquil city. Accommodation. In the afternoon, fly back to Quito or take an international flight (depending on which airline you depart, we can arrange a night city tour in the previous evening).